Stockholm blog #2 From a Smart to the Smartest City in the World! The city of Stockholm has defined a vision to become the smartest city in the world by 2040. In January 2016, the Smart City strategy work started with representatives from several departments. Furthermore 100 Mkr (10 M€) has been set aside for 2016 as a specific budget for making the city smarter and investing in the Internet of Things, Open Big Data and digitalisation of city functions as well as city environments. For GrowSmarter this is very important, as the actions in the project can be closely linked with the vision and strategy and results from the project, which, if successful, can be scaled-up in the city with the defined budget. What’s going on in Valla Torg, Årsta and the Slakthus area buildings? For those of you who didn’t have a chance to read my previous blog post, the smart solutions for low energy districts will be rolled out in three building zones, namely Valla Torg, Årsta and the Slakthus area (see map here). Now for an update on where we are with things currently. All the preparation and planning for the refurbishment of the residential building in Valla Torg is finally done! The first stage of the efficient and smart climate shell refurbishment (solution 1) will start in March together with Skanska. This includes work such as insulating basements, installing new sub-centers required for adaptive control systems, installing new district heating pipelines to substitute old pipelines with high heat losses. In the private condominia BRF Årstakrönet the project has started preparations for installation of adaptive control systems (solution 1) and indoor sensors (solution 3). This will be done during January-February 2016. Data from these applications will be transferred to the Veolia Hubgrade © - Energy Saving Centre a control- and optimisation centre. The same solutions will also be implemented in the Valla Torg and Slakthus area buildings during refurbishment. Fastighetskontoret/Real estate administration office has produced principal documents for buildings in the Slakthus area. Next step is procurement of building contractor and producing production documents in cooperation with the contractor. Refurbishment of the Slakthus area buildings will start in April/May. We are currently working with an exhibition venue in Valla Torg to put together an exhibit showing all the different smart solutions and their location in Valla Torg as well as status of implementation. We hope to be able to open this to the public in a few months time and we expect this space to serve as a natural starting point for study visits in the area. There will also be an exhibition room in the Slakthus area showing smart solutions for visitors. Integrated infrastructures, such as the open district heating system and extensive fibre networks, are an important part of making Stockholm a smart city. To achieve our City’s environmental goals, close cooperation between inhabitants, industry, the public sector and many other players is crucial. Environmental and information technology are both key priorities in developing a sustainable society. Fortum’s open district heating (solution 6) will be implemented in two locations. In Hammarby Sjöstad, waste heat from data centres will be directed into the district heating system, while in in Farsta (some 5km South of the Slakthus area) waste heat from supermarkets will be used. As soon as agreements are signed, implementation will start. A new and exciting development in the Slakthus area is the incorporation of the nearby Tele2-sports arena as an energy source for heating buildings. A pre-study found that there was enough waste heat from the sports arena to heat up two commercial buildings in the GrowSmarter project as well as other city-owned buildings in the neighbourhood. The extensive fibre network owned and developed by the City is something that makes Stockholm unique. Stockholm enjoys 100 % broadband coverage, both fixed and mobile. The fibre network in Stockholm is provided and administered by Stokab, a company owned by Stockholm City Council. In total, the network stretches the equivalent of more than 30 times around the earth. It is 1.25 million fibre kilometres long, 5,500 cable kilometres long and boasts 600 crossover connections (nodes) and more than 15,000 access points (ODF). The goal of the City's fibre network efforts is to build a competition-neutral infrastructure capable of meeting future communication needs, spur economic activity, diversity and freedom of choice, as well as minimising disruption to the city’s streets. This will be tested using the two buildings in Slakthusarea. Between March and May 2016, we will organise several internal workshops with a number of city departments to identify the exact measures we could roll out within the scope of the project, with implementation scheduled to take place during autumn, and an official launch in 2017 when the buildings are made open to the public. 2. Link up the network with a Wi-Fi connection to collect data from sensors for better city planning. Our partner IBM, which is responsible for the open consolidated big data platform (solution 8), had its first workshop with the city’s traffic department to define data sources and locations of sensors to gather data related to pedestrian and bicycle flows in the city. Together with mobile phone data the IBM Smart Cities Research lab in Dublin will analyse the flow of people in the city, which in turn will feed into our big data platform for use by city traffic planners. With this additional information at their fingertips, city planners will be better able to address different planning questions e.g. what is the ideal width of a sidewalk to enable good pedestrian flow, while at the same time projecting a leisurely feel to encourage people to stop and talk. 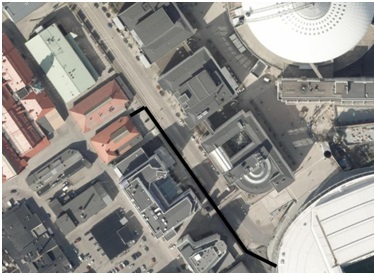 The installation of smart LED-street lights (solution 5) will start in March and be finalised in summer in Valla Torg. The adaptive LED-lighting will save 50% of energy, but still provide the same sense of security in walking and bicycling paths. As part of the GrowSmarter project, we have planned to install a number of charging stations and refuelling stations all over the city. Contracts for the first two refuelling stations(solution 11) have been signed and the third is on its way. City plans needed to be changed in some cases and building permits are required. These administrative issues took longer than expected due to the fact that Stockholm is growing fast and priority is given to new housing projects. The first filling station in Årsta is expected to be established in the end of 2016. Other mobility measures will start to be implemented during spring and summer or early autumn. I will return to these in my later blog up-dates. Meanwhile enjoy the video (adjacent), that the city has put together to give you an overview.